THE WATERBOYS are to return to Galway for the third time in a year to play a major concert. A mesmerising live experience, the last two shows were about past triumphs, but this upcoming show is very much about the future. The Waterboys release their new album, Modern Blues, on January 19 and will play a ‘Róisín Dubh presents...’ concert in the Seapoint Ballroom, Salthill, on Thursday October 29. 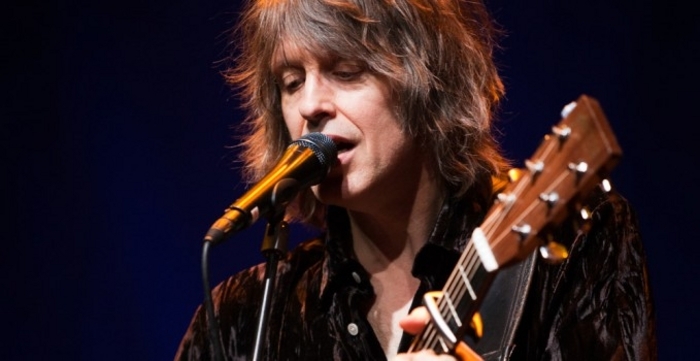 “People should expect the unexpected from The Waterboys,” says Mike Scott. Modern Blues was recorded in Nashville by a line-up including Muscle Shoals legend David Hood (bass ), Austin guitarist Zach Ernst, and Memphis keyboardist Brother Paul. These musicians will also join the band on-stage in Galway, alongside Mike Scott, violist Steve Wickham, and drummer Ralph Salmins. The Waterboys are enjoying a new lease of life and indeed their popular reach has seldom been greater. Last year Ellie Goulding scored a Top 3 UK hit with her cover of “How Long Will I Love You”, while earlier this year Prince performed ‘The Whole of the Moon’. Waterboys’ songs have also featured on the soundtracks to films About Time, Dom Hemingway, and What We Did On Our Holiday.